Is it the history that draws us to Greece? 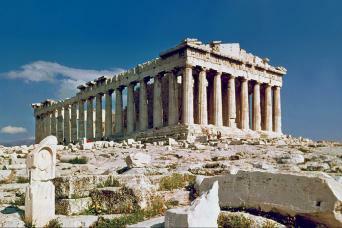 The land that has given us the Acropolis and Delphi and Olympia has been attracting tourists for 200 years since the days of Lord Elgin. Could it be the Greek Islands? Mykonos, Santorini, Crete, Paros, Naxos and Rhodes with their beautiful beaches, restaurants, nightlife and archaeological sites have been popular for decades. Or lesser known islands like Sifnos, Lesvos, Kea that have always been attractive to those looking for a more quiet escape. Maybe it is the allure of the Peloponessos with its high mountains and beautiful coast, its rich history and the seaports of Gythion and Napflion which have sent sailors all over the world for centuries. Could it be the Greek food? Maybe it's the weather in Greece where they say there are 300 days of sunshine, most of it between May and November. Maybe it is the spiritual quality of places like Meteora where centuries old monasteries crown giant rocks. Whatever the reason, we know you'll have a fabulous time in this beautiful country. Book your Greek adventure today!